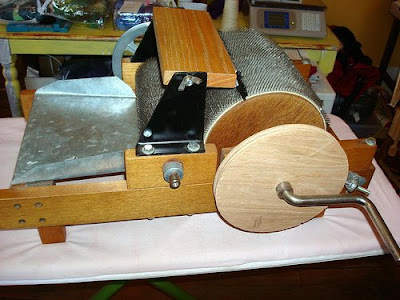 After months of searching for a used drum carder in my price range, I finally found one and in a few short days it is going to be mine!! Awesome and congrats!! Is that one of the Strauch ones? Don't hurt yourself with it! BTW, I did get a set of Strauch handcards from LSH Creations. She recommended the cotton cards for the finer fibers I want to do, since I already have a set of regular wool ones.